East of Ireand champion Chris Selfridge during last year’s three hole play-off with Nicky Grant. Photo Jenny Matthews/www.golffile.ieThe handicap cut off for the East of Ireland Championship fell at a record low of 0.2. While Walker Cup hopefuls such as Spanish Amateur champion Reeve Whitson and former East winner Richie O’Donovan will tee it up in the clashing Scottish Amateur Open Strokeplay at Southerness alongside Dermot McElroy (Rory McNamara is stil undecided between Baltray and Scotland), Leinster Golf’s flagship event has still attracted a top class field for the June bank holiday weekend. The Lyons Cup, which is presented to the winner of the East of Ireland Amateur Open. This year’s draw includes defending champion Chris Selfridge from Moyola Park, recently crowned Irish Open champion Robbie Cannon of Balbriggan and 2012 West of Ireland champion Harry Diamond frim Belvoir Park. A field of 156 will complete 36 holes over Saturday and Sunday June 1 and 2 with the 51 competitors returning the lowest gross scores qualifying for the final 36 holes on Monday, June 3. Other in-form players gunning for glory will be last weekend’s winner of the Mullingar Scratch Cup, Daniel Holland (Castle), Leinster Youths winner Gary Collins (Rosslare) and 17-year old Jack Walsh (Castle), the Munster Youths champion. The Championship dates to 1941 and the inaugural winner was the late JB Carr, the first Irishman to enter the World Golf Hall of Fame. In addition to the main prizes for the Championship, a medal will be presented to the leading Leinster player who returns the lowest 72 hole gross score in conjunction with Leinster Golf Centenary celebrations. Winner winner. 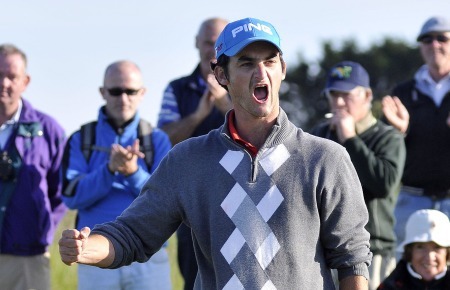 Chris Selfridge roars with delight after sinking his putt for a winning par four at the ninth. Picture by Pat Cashman.Moyola Park’s Chris Selfridge captured his second amateur major in the space of eight days when he beat Knock’s Nicky Grant by a stroke in a three-hole aggregate play-off for the East of Ireland Amateur Open at Co Louth. In winning, he became the first man since Garth McGimpey in 1988 to claim the ‘Close’ and the ‘East’ in the same season. This was the rough last year. It’s even thicker for the 2013 East of Ireland. 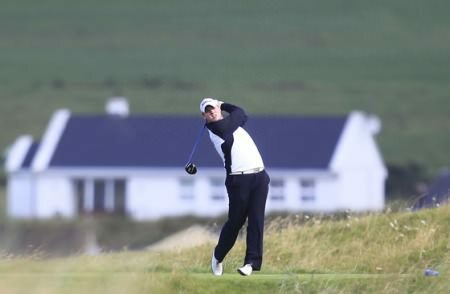 Des Morgan will be as concerned about the six-inch course between his ears as the savage rough when he begins his bid to finally break his championship drought in the East of Ireland Amateur Open at County Louth today. Paul Dunne (Greystones) winner of the East of Ireland Championship at County Louth Golf Club. 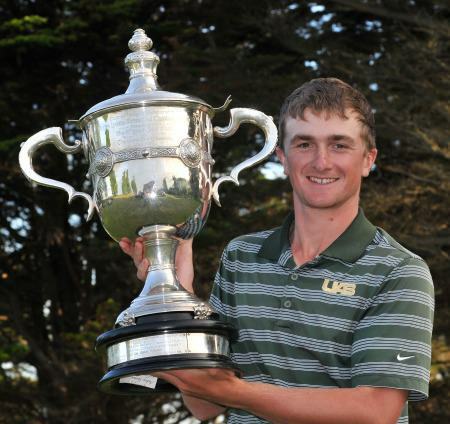 Picture by Pat Cashman He might have had just five hours sleep and suffered a nervy speed wobble coming down the stretch, but no-one could deny that Greystones’ Paul Dunne deserved his one-shot victory in the East of Ireland Amateur Open at sun-splashed County Louth. Greenore’s Ian Brennan on the 14th tee during roudn three of the South of Ireland Amateur Open Championship at Lahinch Golf Club. 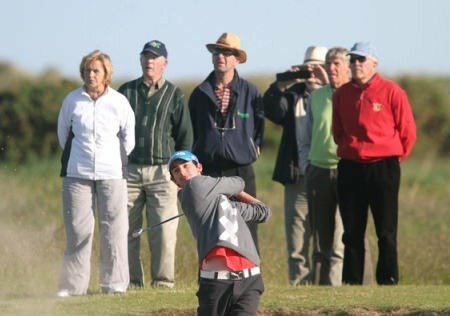 Picture: Thos Caffrey / www.golffile.ieReigning champion Pat Murray lost on the 19th as Knock’s Nicky Grant remained on course in his quest for his first amateur major with a 4 and 3 win over Arthur Pierse of Tipperary sending him into the last 16 of the South of Ireland Amateur Open at Lahinch.